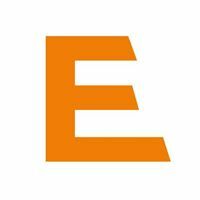 Now over 3 years old, EVO is a membership-based, truly business-driven network, for an evolving business landscape. We've used the best venues like the Ivy to Harvey Nichols. You can view testimonials here. EVO Founder Jamie posted a photo and thank you - to attendees and guest speaker Sir Rob McCabe - on LinkedIn the day after the December breakfast meeting on Wed 12th December. By Saturday lunchtime, over 37,000 people had viewed the posting. An incredible demonstration of interest from the global platform. Click here or below image to view in detail. We think the members know best, so our mission is to create a networking group that enables them to achieve their objectives. To actively create great business opportunities for Members to broaden their circle of contacts, to meet potential clients, to develop the trust within a network of dynamic introducers and referrers. Business Networking is a brilliant way to create new contacts, gain new referrals, make introductions and build your reputation. As a Visiting Guest, there is no membership fee/joining fee. We do however ask guests to pay for their place. Guests for this event may be invited to apply to join the Group/s at the conclusion and dates, format and pricing info is found below and will be discussed on the day too. What is EVO Really Like? The last June EVO Genesis Group breakfast meeting was full - and welcomed senior influencers as guests. They included James Durie - Chief Executive of Bristol Chamber of Commerce and Initiative & Executive Director - Business West and John Hirst - CEO of Destination Bristol. You can see the SUPERB unsolicited feedback on Linkedin here from Founder Jamie Breese's timeline. Just register your interest here and we'll email you occasionally with new dates and Group Launches. Jamie Breese has over 11 years experience in running networking events and bringing people together. In March 2016 he received The Lord Mayors Medal for services to the community and is active in the charity sector. Jamie is also a television presenter and expert with his last US TV series airing to 2.9 billion Discovery Channel subscribers worldwide whilst he's been the weekly art and antiques columnist at the Mirror for 17 years. His business exhibition - Business Showcase South West - is now in its 5th year and has welcomed thousands of delegates and speakers from Baroness Brady to Levi Roots. 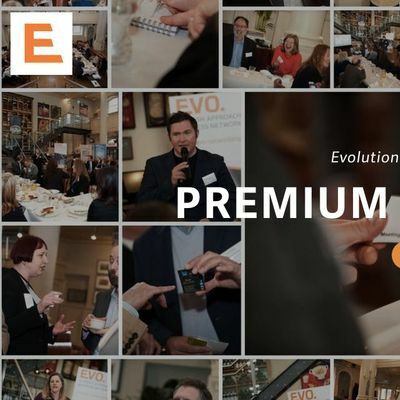 His Only Connect networking evenings have welcomed over 15,000 guests to date and EVO is the next step to provide great referrals. There is ample parking around the venue from Cabot Cirucs Car Park to the nearby NCP next to The Marriot Hotel. The restuarnat is located on the top floor and the venue access is easiest from the side entrance. The Galleries shopping centre car park is CLOSED at 7.30am in the morning. Business cards are useful. So is a spirit of collaboration. The food needs to be ordered beforehand with our venue so regretably we cannot offer refunds once the ticket is booked.